Watermarked CDR in typed low numbered numbered paper sleeve. Whilst the standard promo of the album was relatively common, this version (with a typed sleeve) was comparatively rare. Like the typed sleeve versions of the singles, this appears to be the first range of promos produced, as the numbers are all low. All the very low numbered promos (such as this one, which is number four) feature a white CD with black text. Thanks to Otto for the scan . Watermarked CDR in typed numbered paper sleeve. All the low numbered promos (such as this one, which is number twenty-four) feature a silver CD with black text. Thanks to Erwin for the scan . Watermarked CD in glossy card picture gatefold sleeve. Numbered limited edition of 1000. Graffiti (graffito) is the name for images or lettering scratched, scrawled, painted or marked in any manner on property. Graffiti is sometimes regarded as a form of art and other times regarded as unsightly damage or unwanted. 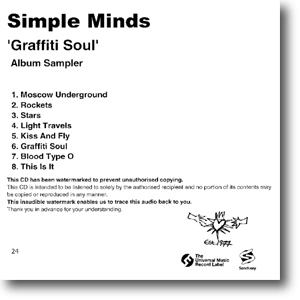 The promo is missing the final "bonus" track which is why most reviewers described Graffiti Soul as an eight track album. 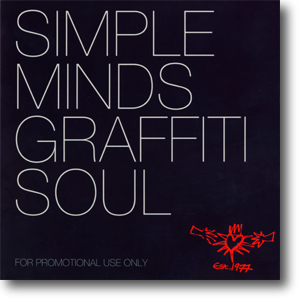 The inner sleeve featured simplified artwork from the final commerical edition. It features an exclusive mix of Rockets. 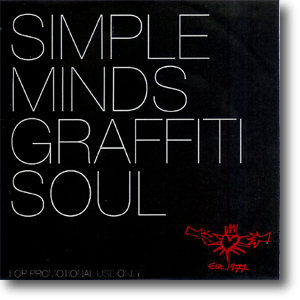 It is the most common of the Graffiti Soul promos. Watermarked CD in paper picture sleeve. Numbered limited edition. 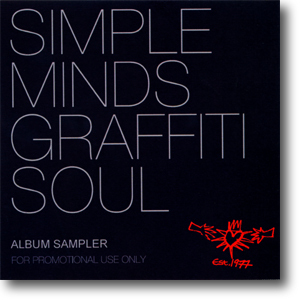 A very limited number of promos featured the entire commerical album. 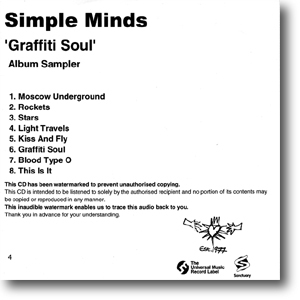 These pressings were packaged with paper sleeves featuring the album artwork on one side and the track listing on the other. Both the CDs and the sleeves were marked with a unique number postfixed "ALB" - it's believed this is shorthand for "ALBUM". Only two or three copies of this version have surfaced so far. CDR in colour printed sleeve. The album sampler only contains thirty second snippets from key tracks from the album. Each edit features the chorus and is faded in and out. Copies were distributed to fans at a pre-album listening party at Universal Records. It's believed these were specially produced for the event, and so only a limited number of between twenty to thirty were produced. It was made available as a download on the 6th May. 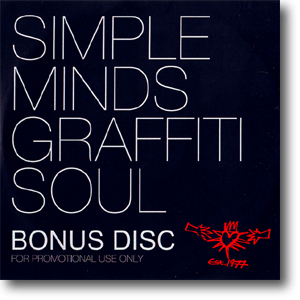 The Bonus Disc featured the nine cover versions sold with the deluxe and LP versions of the album. At the time of writing, it appears to be the rarest of all the promos. The only copy to surface, numbered 17, appeared in February 2010.